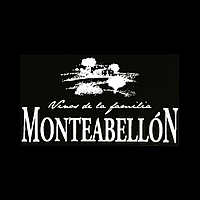 Bodegas Monteabellon – Luxury-focused. Estate-driven. World-renowned. Monteabellon is a great new discovery for us; a source of stylish, modern Ribera del Duero at very attractive prices. The winemaker and creative driving force behind this recently created bodega is Isaac Fernandez, nephew of the great Mariano Garcia (legendary ex-Vega Sicilia winemaker). Isaac worked for many years alongside Mariano and his sons at Bodegas Mauro, and the Mauro style is clearly evident in the wines of Monteabellon…exuberant fruit, rich chocolatey weight in the mouth, classy oak integration, sophisticated tannins, good balance, and nice lift on the finish. Given this decidedly superior quality, the prices here are almost too inexpensive! And believe us, we’ve tasted a lot of Ribera del Duero recently and these wines beat competitors selling for twice the price, easily. We can offer these wines ex-bodega for maximum value.